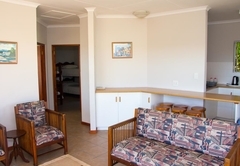 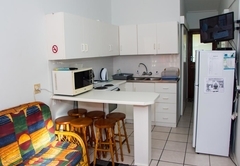 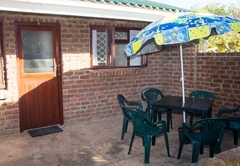 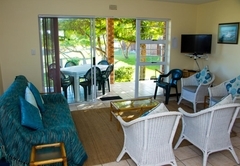 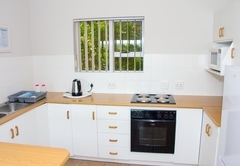 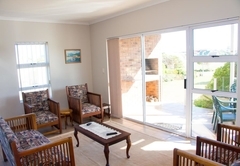 Muir Holiday Flats is a property providing self catering in Still Bay for tourists visiting the Garden Route region. 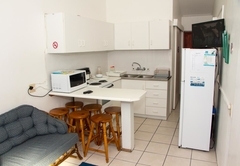 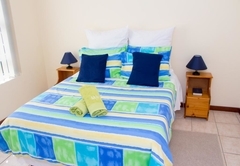 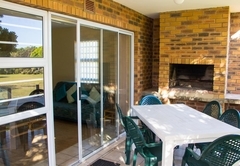 Muir Holiday Flats offers accommodation in Still Bay on the Garden Route. 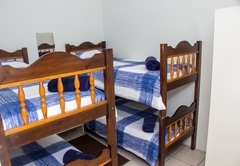 The flats sleep up to 42 guests in eight units. 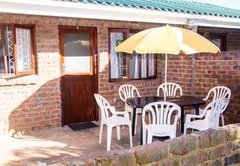 Skulpiesbaai nature reserve is 1.1km from the flats and this is a great place for a stopover while exploring the Garden Route. 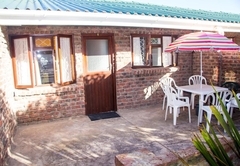 Just off the N2, Stilbaai is so much more than expected, with friendly people, a stress and crime free way of life, safe swimming and white sandy beaches. 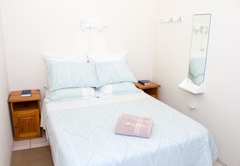 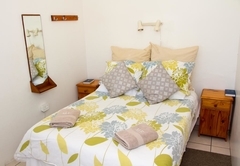 Muir Holiday Flats are self catering units with seating areas, kitchens, bathrooms with showers and flat screen TV's. 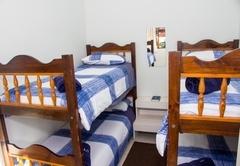 Double bed in the main bedroom, 2 single beds in the second bedroom, fully equipped kitchen, living area and bathroom with shower. 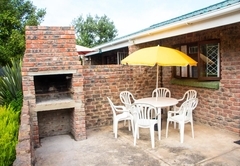 Outside there is a patio and braai area. 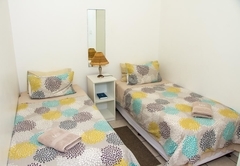 A double bed in the main bedroom, 2 single beds in the second bedroom, fully equipped kitchen, living area and bathroom with shower. 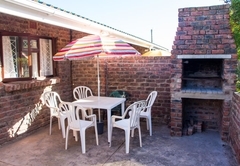 Outside there is a patio and braai area. 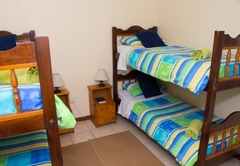 A double bed in the main bedroom, bunk beds in the second bedroom, fully equipped kitchen, living area and bathroom with shower. 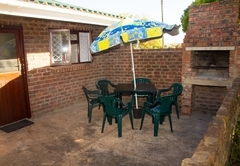 Outside there is a patio and braai area. 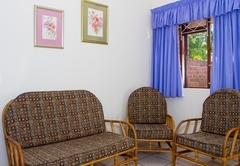 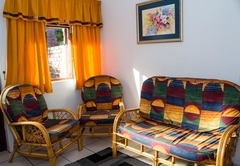 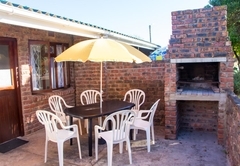 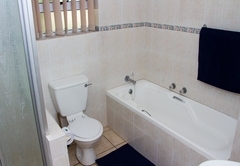 A double bed in the main bedroom, bunk beds in the second bedroom, separate toilet, full main bathroom, living area with open-plan kitchen and patio with braai area. 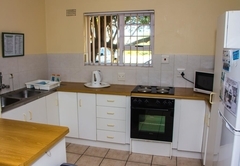 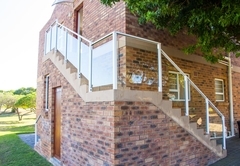 Apartment on the second floor with a double bed in the main bedroom, bunk beds in the second bedroom, separate toilet, full main bathroom, living area with open-plan kitchen and balcony with braai area. 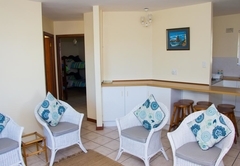 Lappies Baai beach has been awarded the international eco label, blue flag status, ensuring unsoiled swimming water and well trained lifeguards from November to February. 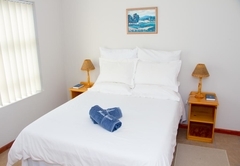 The area, is rich in indigenous flora, and bird species and, offers whale watching, a mild climate. 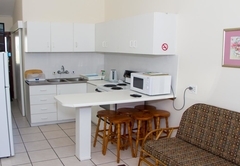 Modern amenities include shops, banks, restaurants and medical services. 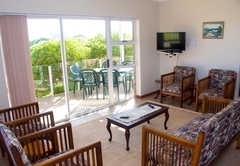 There is a variety of sporting facilities like golf, bowls, hiking, angling and a renowned surfing point. 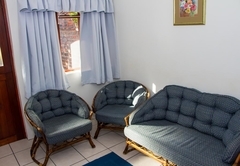 Stilbaai is home to a number of historical sites and landmarks:ancient shell middens date back 3000 years, middle stone age artefacts of the world famous Blombos cave on display in the visitors centre, the opportunity to view, ancient fish traps or feeding the tame eels at the info centre is are all a must. 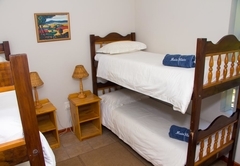 Response timeMuir Holiday Flats typically responds to requests in 5-10 minutes.